BetSoft is one of the leading names when it comes to premium online casino software, best known for its exquisite range of 3D slot games. As the demand for mobile gaming has grown, BetSoft has kept up with the pack by offering many of its most popular titles available for portable play on both smartphone and tablet. Read on to find out what mobile BetSoft games are available and where you can play BetSoft games on your mobile device for real money wagers. In operation since 2005, BetSoft is an online game developer priding itself on developing “the absolute best 3D, true cinematic games in the industry.” If you’re looking for online casino games which use the most advanced graphics and animation, you’ll be hard pressed to find anyone better than BetSoft, with engaging slot games rivaling the quality of movie studios like Pixar and Disney. The brand is devoted to offering high quality customer service and satisfaction, both for online gamers and casino vendors. 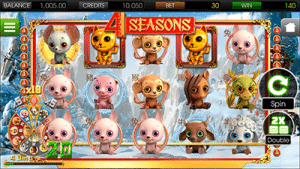 Although BetSoft does offer an impressive selection of online table games, the brand is best known for its range of 3D pokies known as the Slots3 collection. Fully licensed by Curaçao eGaming and using random number generated (RNG) software evaluated and certified by Quinel M Limited, BetSoft games are as trustworthy as they are entertaining. The game studio has earned a shining name for itself within the online gambling market and as such you’ll find BetSoft games offered at many of the top rated online casinos. G’day Casino – G’day is an instant-play mobile casino hosting games from some of the world’s best game developers, including BetSoft, Microgaming and Net Entertainment. New players can take advantage of 50 free spins with no deposit required, plus a 100% matched deposit bonus up to an unlimited amount when depositing real money for the first time. 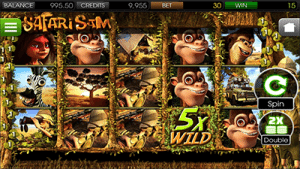 Slots Million – dedicated entirely to the pokies, Slots Million is where you’ll find the largest collection of mobile BetSoft games, available to play directly over your mobile web browser. Games can be sampled for free in demo mode, or you can sign up to claim double your first deposit plus 100 free spins to use on selected NetEnt games. Leo Vegas Casino – available for both instant-play and via downloadable app software, Leo Vegas Casino has won numerous awards for its sublime mobile offering. Along with mobile games from other leading game studios, you’ll find several BetSoft Slots3 titles available to play for real money bets on the go. What BetSoft pokies are available for mobile? A large selection of BetSoft’s Slots3 collection of 3D pokies has been optimised for mobile play using the BetSoft ToGo software. These games retain the same level of animation and special features you’ll find within the full desktop game, but have simply been adjusted to play from the palm of your hand. The ToGo range is compatible with iOS, Android and Windows Phone. BetSoft is committed to regularly creating new content, with new game releases typically also being rolled out over mobile, so this list of mobile-friendly titles is expected to grow rapidly as mobile gaming continues to expand in popularity. When playing at a desktop casino like G’day Casino, you’ll notice BetSoft has a decent collection of table games available, including roulette, blackjack, baccarat, table poker and video poker. Unfortunately, the mobile ToGo range only extends to the slots, so you won’t find BetSoft table games at our recommended mobile casinos. However, if you’re looking for high quality table games to play on the go, leading brands like Microgaming and Net Entertainment offer some fantastic blackjack, roulette and poker options which are available for real money play from your smartphone or tablet. BetSoft mobile games use Flash software, making them compatible with all iOS, Android and Windows Phone operating systems. As long as your device has relevant Flash capabilities and can secure an Internet connection, no downloads are required to access BetSoft games, which can all be enjoyed for instant-play directly over your mobile Web browser. Given the larger screen available for tablet play, the latest model iPads and Samsung Tabs will provide crystal clear graphics with bigger symbols. However, if you’re playing a BetSoft game on your smartphone, just swing your device around to landscape mode and the game will fill out over the whole screen, retaining the same high quality graphics and animation you’d expect when playing at a full desktop casino. Sign up for an account at Slots Million to access over 30 BetSoft titles direct from your mobile device. New players who register via our page can claim up to $100 in bonus money plus 100 free spins to use on selected NetEnt games.